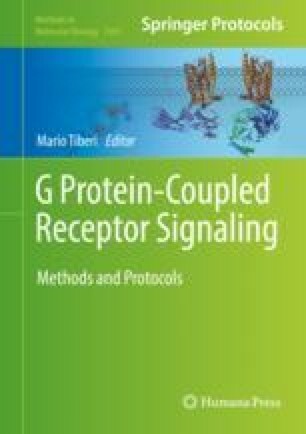 How G protein-coupled receptors are assembled is a matter of considerable interest owing in large part to their remarkable pharmacological importance. For determining receptor stoichiometry, resonance energy transfer-based methods offer considerable advantages insofar as they provide the necessary spatial resolution, and because measurements can be made in situ, relatively easily. This chapter describes three complementary stoichiometric assays that rely on measurements of bioluminescence resonance energy transfer. These quantitative approaches make it possible to identify true protein–protein interactions from non-specific associations that inevitably result from constraining proteins in cellular membranes. In our experience, concordant data obtained in two or more of these assays, benchmarked with suitable controls, strongly predict receptor stoichiometry. This work was supported by the Wellcome Trust (098274/Z/12/Z to S.J.D., 107375/Z/15/Z to J.H.F. ).